SYDNEY—When US bombardier Louis Zamperini crashed into the Pacific in 1943, he and two other survivors feared sharks more than they did the Japanese. Crammed into one brightly coloured two-man life raft, the three servicemen were surrounded by sharks for most of the 47 days they spent at sea. When Mr Zamperini dived under the inflatable during a Japanese air attack, the sharks charged at him. Miraculously he drove them away by yelling loudly and thumping at them. Safely back in the raft, he recalled stroking the sharks as they circulated, marvelling at their beauty. But shortly after as he peered back into the water, “one of the sharks that he had touched, leaped from the water at terrific speed, mouth wide open lunging straight at his head.” The men hit the sharks with paddles as they tried to belly into the raft. Mr Zamperini’s account in his biography Unbroken, now a movie directed by Angelina Jolie, is a timely description of shark behaviour for Australians. The number of unprovoked shark attacks in Australia has doubled over the last decade, jumping from an average of 6.5 per year in the 1990s to 13, according to researchers at Sydney’s Taronga Park Zoo. Finding a safe deterrent is prescient for both humans and sharks. A number of shark species are endangered, and with heightened publicity and few choices available, governments and councils have been forced to take action most often by culling or netting. Neither have been totally effective, and with the latter, “a lot of the time they are just catching and killing things that are never going to attack you in the first place,” said Associate Professor Nathan Hart. Dr Hart, a researcher at the School of Animal Biology at the University of Western Australia (UWA), is regarded as a world authority on shark sensory systems. He has just completed a collaboration with biotechnology company Shark Attack Mitigation Systems (SAMS) to develop wet suits that deter sharks. Very shiny silvery things are absolute dynamite in attracting sharks. Although colour blind, sharks are attracted to bright colours and shiny things – hence the fascination with Louie Zamperini’s raft. Sharks can be tricked by their poor eyesight, which has provided ideas for wetsuit design, says Dr Hart. The SAMS “cryptic” wetsuit, for example, blends with background colours in the water, making it difficult for shark to detect the wearer. 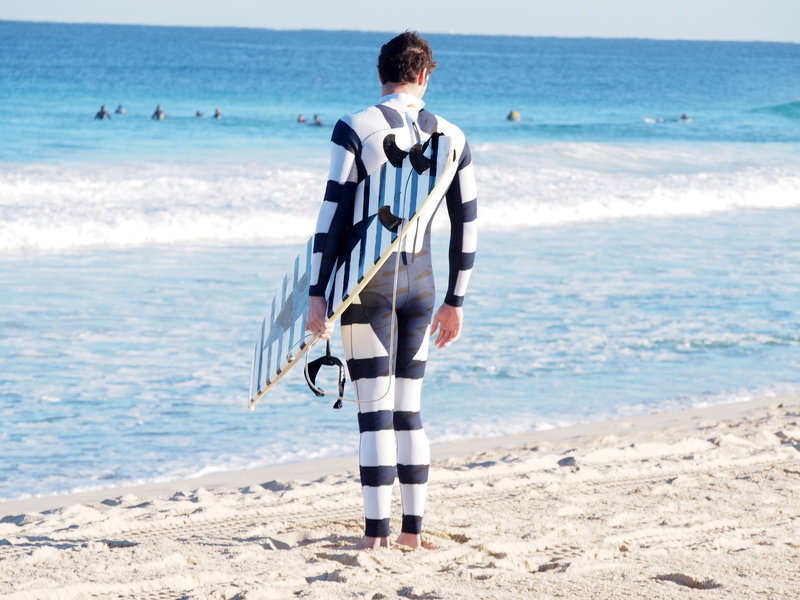 Another, the “warning” wetsuit, features black and white banding reminiscent of a poisonous sea snake. But not all sharks avoid sea snakes. “Tiger sharks, for example, do eat sea snakes,” Dr Hart said. He says a lack of data means the jury is out on why we are encountering sharks more. “We are just not sure. [It could be] any set of circumstances, such as climate change, or fishing practices that are bringing the animals in closer and making them more likely to interact with humans,” Dr Hart said. This summer, Newcastle, a city of 315,000 people just north of Sydney, has been stalked by two massive sharks, forcing authorities to close surrounding beaches for a record nine consecutive days. On Jan 16, a 17 year old boy nearly lost his hand to a shark while spearfishing on the NSW South Coast. In January 2014, Western Australia premier Colin Barnett introduced a controversial drum line policy. Baited lines were set at popular beaches but the shark attacks continued. The WA Government then commissioned UWA to research shark deterrents, an area that had seen few studies over the years. What is known is that sharks usually feed at dawn and dusk, are intelligent and extremely curious. What is known is that sharks usually feed at dawn and dusk, are intelligent and extremely curious. Shark attacks on humans are thought to be as much about a shark’s method of exploring, which is biting, as it is a case of mistaken identity. The UWA project is focused on a range of deterrents, including the efficiency of electronic pulse emitters like the Shark Shield, which can be worn by swimmers and divers. “Sharks are extremely sensitive to small electric currents,” Dr Hart said. The pulse emitters “overload their electro-sensory system”, causing them to veer away. According to a previous study, the Shark Shield was effective in some conditions but not all. Other areas of research include flashing lights, which are used to deter fish from hydro systems; loud underwater sounds which it has been suggested remind sharks of a predator, the orca; and bubbles. “A lot of fish are scared away by bursts or curtains of bubbles, so we are looking to see if that can form a protective barrier for sharks,” said Dr Hart. At Sydney’s famous Bondi Beach, sharks have driven bathers out of the water three or four times this summer. The beach is netted but it is not a popular strategy. Lifeguard Bruce Hopkins says the local council has been experimenting with drones to spot sharks but the software is not yet accurate enough. 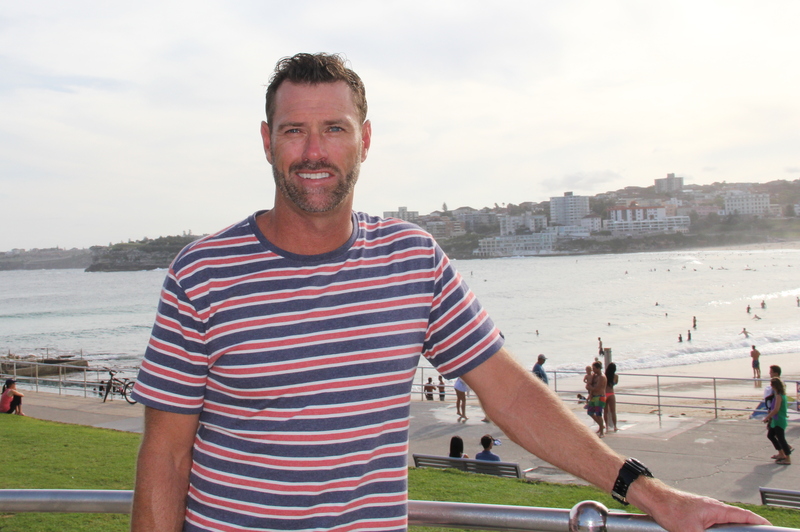 A lifeguard in the region for over 20 years, Mr Hopkins agrees there have been more sightings than usual but says sharks are not uncommon in waters around Sydney. If you had a camera under the water they probably cruise through every day, its just you don’t see them. He believes the scare factor is inflated, noting that humans are not a food source for sharks and that there has only been one shark attack at Bondi in the last 80 years. Both Dr Hart and Mr Hopkins noted that more people die from bee stings than they do sharks. This may, in part, explain why research on sharks and their deterrents is so under resourced. From all accounts that may be about to change.